We've received another 2 purchase orders from our publicly traded fourtune 500 vendor, Owens & Minor. 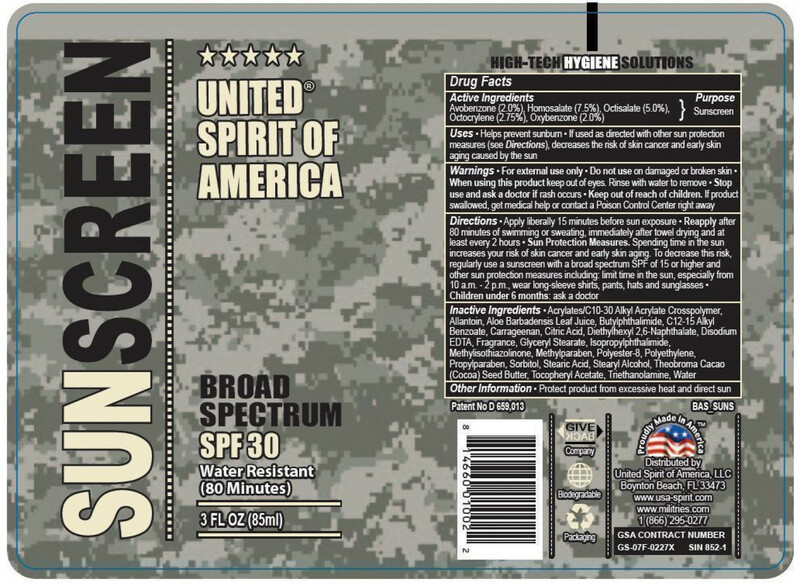 This Co-Op is funding two of our popular sunscreen product at different SPF levels (30 and 50). Each Case has 24 units of 3.0 ounces each of the best formula in the market with a powerful total protection from UVA/UVB sunburn. Camo presentation convenient, TSA compliant order via EDI Cardinal Health or Owens & Minor MMC catalog. We have already completed first purchase order assigned co-op, and have issued payment to complete our first non-purchase order assigned co-op as well (funds are currently in KF hold period). Our second and third PO assigned co-ops are on track for punctual completion. We are proud to have pioneered the new PO assigned Kickfurther program where we do not just tie our assignment to a single purchase order. Kickfurther has been assigned for all payments from our vendor, Owens and Minor for the next 12 months to ensure a smooth process for all involved. We received 11 separate orders from Owens & Minor in March alone; only some of which have been posted as Co-Ops on the Kickfurther platform. We receive purchase orders with a relatively short turnaround and payment terms from this client on a regular basis. Instead of constantly having to wait on payment terms, we can keep our production on schedule to maximize the orders we get. We are excited about what we can do with the new Kickfurther model and your help. We are completely confident in our vendor with whom we have worked for years. Owens and Minor Purchase Order Number 3! 5th O&M PO backed Co-Op! United Spirit's 7th co-op on Kickfurther! Paid back in full and prompt communications, but made promises that they did not deliver on. Repeatedly used funds to manage cash flow even after being warned that that's not what KF $$ are supposed to be for. Probably wouldn't invest a lot again. Great communication and timely payback. Thank you! Paid quickly! Didn't send updates but the money was on time! Payback was a few days late, and there seemed to be issues updating the various statuses within KF, possibly just an issue with the new KF platform and method of updating. Communication was good on their end and they seem to be a very stable company. Payed back on time! Good! On time is all we need. AWESOME Company and great communication! They had other POs pay for this co-op well before the time frame stated, and paid back early! I would back them 110% each time. Excellenct execution and great team. Early paybacks. Completed with frequent updates and no hiccups! Paid on time and was also a successful investment. I would back them up again. Yay!!! This was the best communication the best coop I have done ever actually! Let's do it again! 40 days late, but good communication throughout. Project was late by a month partly due to Hurricane Irma. But Dr. JJ always keep the team informed. Great project and will definitely join their next one. I have backed several United Spirit of America co-ops and Dr. JJ has proven above board in all. Most paid early. The one that paid a little late was due to weather-related issues outside the company's control. The company continued chipping away at the co-op as funds came in, then offered to pay a bonus to backers for the delay, and paid it soon after the co-op concluded. I will confidently back any future co-ops listed by this business. This team has always come through. Repeat history over several funding campaigns. Great communication. Thank you for the regular updates. They paid late and didn't post regular updates until the campaign was labeled troubled. The updates before the campaign was troubled were "everything's fine" "everything's on schedule" when everything was clearly NOT on schedule. Will not be investing my money with them again. As Always a great coop one of my favorites to support! Co-op wrapped up about 1 1/2 months late, bonus payment for delay was fair, and Dr. JJ kept his word. I'll back him again. How would you rate United Spirit of America?